The investigative volunteer community InformNapalm has analyzed Russian military files hacked by hackers from the Ukrainian Cyber Alliance (UCA), the so-called “hacktivists” responsible for hacking the email accounts of Putin’s gray cardinal Vladislav Surkov, known as #SurkovLeaks. 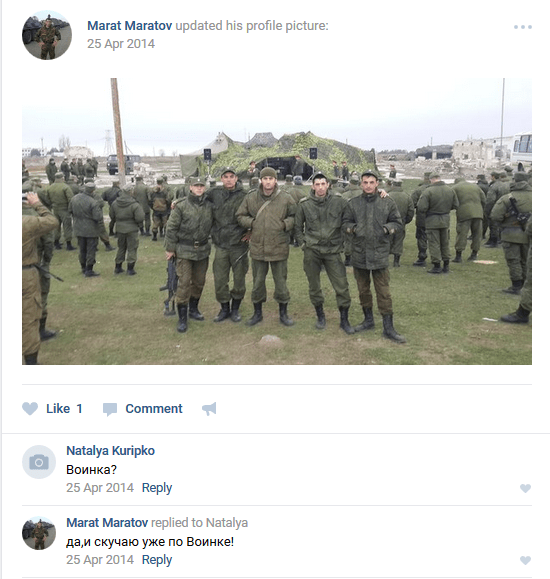 Using the data, InformNapalm has tracked down members of Russian military brigades who took part in the occupation of Crimea. The UCA’s data contains two text documents with food supply lists dated as 4 and 16 March 2014, which were reportedly discovered in the email box of a Russian supply officer of a military unit based in Chechnya. 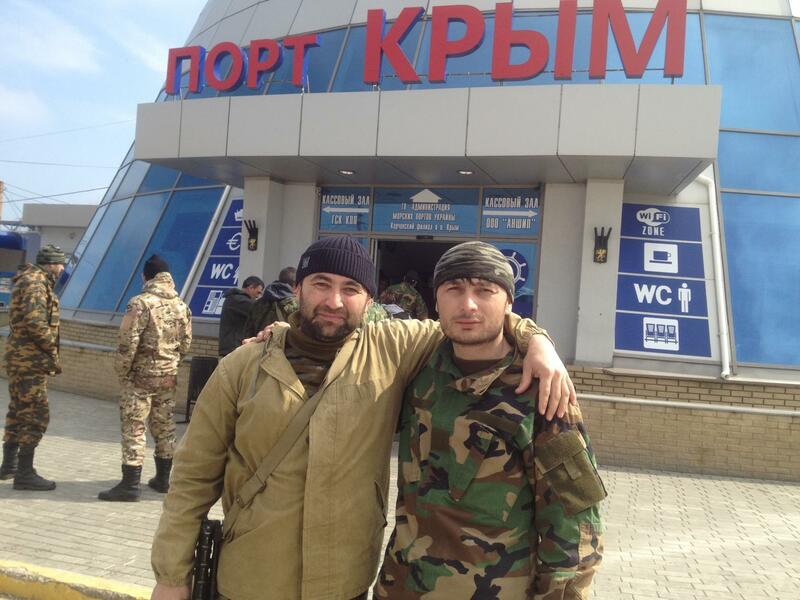 InformNapalm has conducted an open-source investigation of the soldiers mentioned in the lists and found proof that at least 60 soldiers from the Chechnya-based 18th separate motorized-rifled brigade took part in the occupation of Crimea in 2014. The Russian occupation of Crimea started back in 2014, four years ago, following the three-month long Euromaidan protests in Ukraine, which culminated in nearly one hundred protesters being shot by police special units, after which then-president Viktor Yanukovych fled Ukraine to Russia. Many top officials, including ministers, parliament members, and heads of state agencies, followed the pro-Russian president, which resulted in a de-facto suspension of many state bodies awaiting the decisions and new appointments from the parliament. Russia took advantage of the short period of political uncertainty in Ukraine to conduct an armed seizure of the Crimean peninsula and to later unleash a war in the East-Ukrainian region of the Donbas. Despite the fact that years have passed, some details of this operation remain uncovered, and the Russian authorities and other participants of the 2014 Crimea invasion haven’t been punished yet. The data obtained by the Ukrainian Cyber Alliance contain two text documents reportedly discovered in the email account of Alexandr Popov, head of food supply rear service of the Rusian military unit no. 2777 of the Southern Military District (the 18th separate motorized-rifled brigade, based in Chechnya). The names of 1097 active Russian servicemen of the unit are mentioned in two food supply lists. The order body is followed by an appendix listing 202 servicemen. The second document is also an extract but from another order, #53, of the same military unit dated as 14 March 2014. 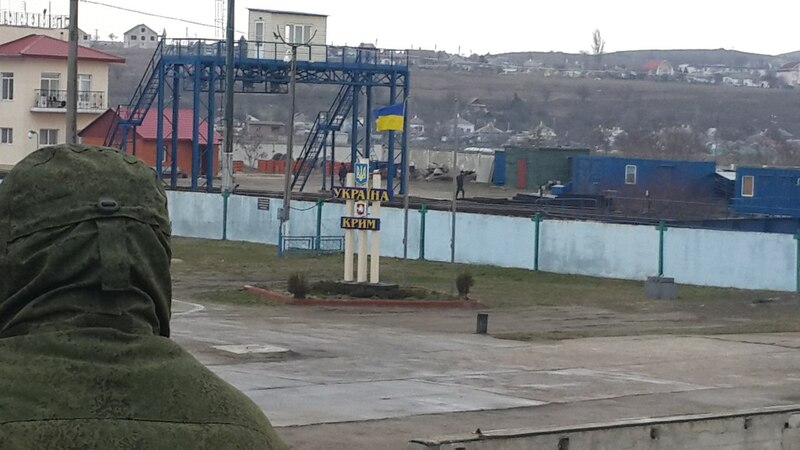 It obliges to provide 891 servicemen “of the military unit 2777, 63354, 29202” departing for a military mission with food rations for 3 days from 16 to 18 March 2014. As well, four commanders signed the documents. The question emerges: what was the military mission of the almost 1,100 soldiers, 202 of whom were spetsnaz troops? Russia claims it didn’t wage any wars in March 2014. Nevertheless, both mentioned time intervals perfectly fit into the dates of the Crimea invasion operation. It is logical to assume that the people on the lists actually participated in the military aggression against Ukraine. But as assumptions are not enough to pin the blame, InformNapalm started searching for more evidence. Informnapalm activists have processed the entire list of 1097 soldiers and found open source evidence that at least 101 listed persons took part in military operations outside Russia (9,21% of the list) within the specified period, 60 of whom (5,47%) unambiguously participated in the Crimea invasion. 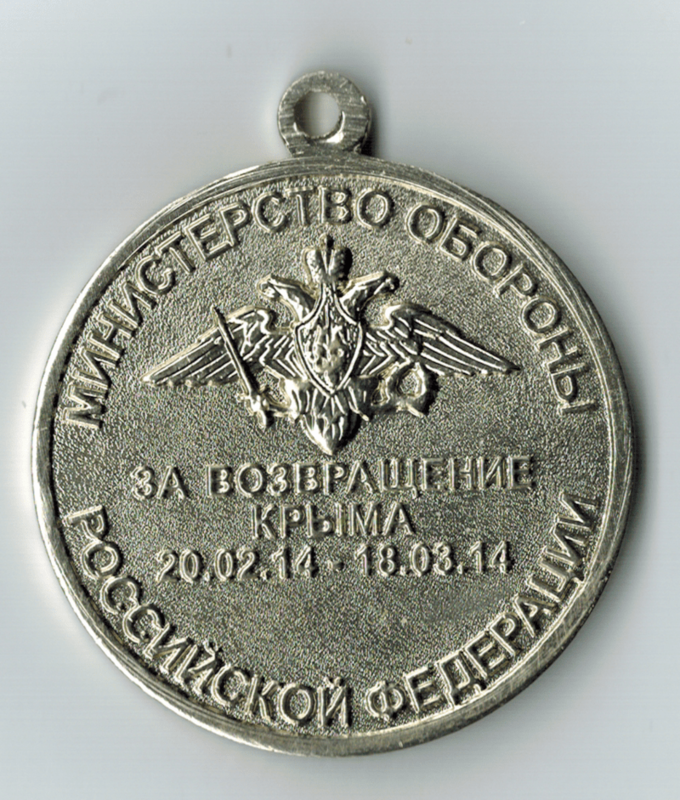 From those 60, 38 servicemen (3,46% of 1097) were decorated with the medal “For the Return of Crimea;” photographs of other 22 Russian soldiers participating in the operation were found on their social profiles as well as other details. 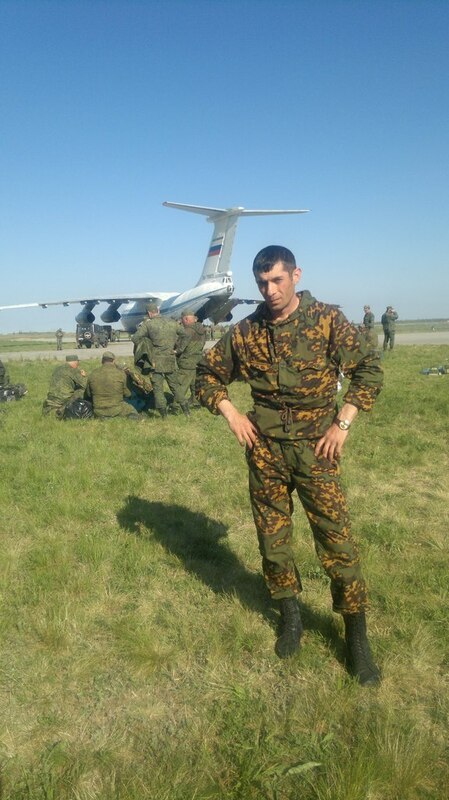 To identify the 60 soldiers from List-1097 and find evidence against them was really hard due to an active Russian campaign during the last several months to prevent Russian serviceman from using social media. We found social media profiles for many soldiers from the list, yet they were already purged [of data – ed]. Nevertheless, the fact that evidence was found not against 1-2 persons but against 60 proves that it can’t be a mere coincidence. The collected evidence may prove the validity of UCA’s data on the Russian servicemen of unit 27777 with a high degree of certainty. As well as they prove the participation of the unit in the Crimean operation. 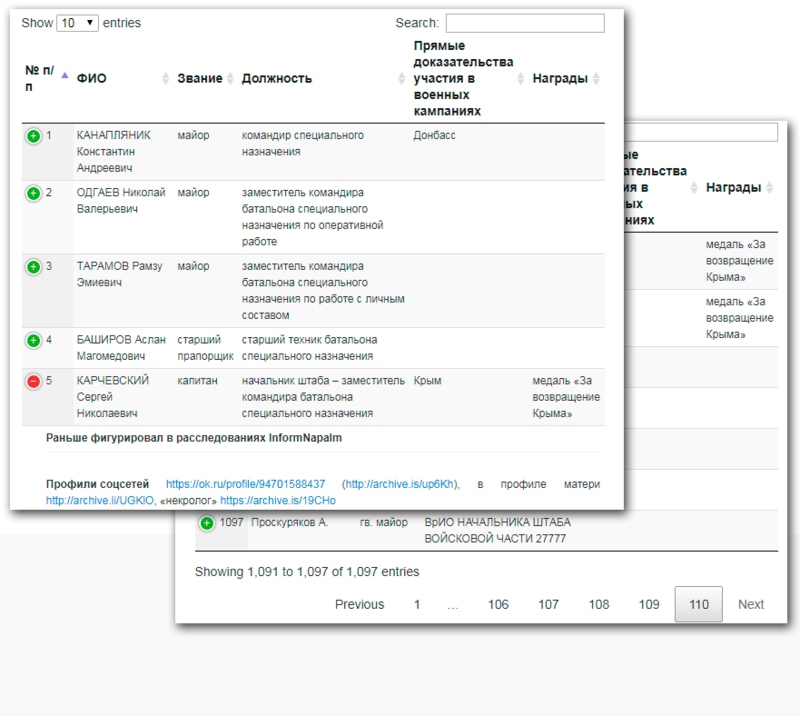 The full database of the finds about the Russian soldiers on the lists is available in Russian in the original InformNapalm report. the military is warmly clad, most of them wear a cold-weather cap, indicating that the photos weren’t taken during the summer, which in Crimea lasts from May until October. The date tells that the pictures couldn’t be taken later than 12 September 2014 because the lifting tools would have another date on them. But, as mentioned before, the photographs couldn’t be made in summer which lasts in Crimea until mid-fall. That’s why the winter-spring of 2014 remains the only theory. 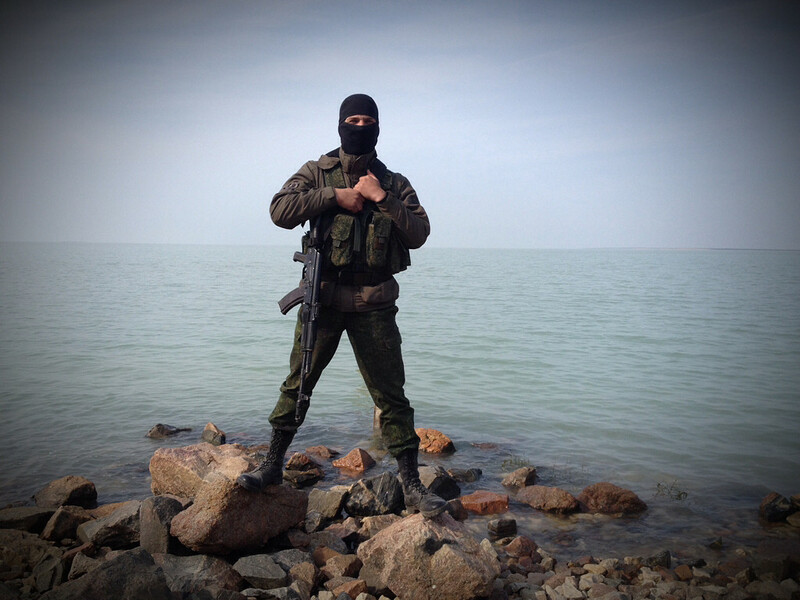 A profile photo by driver of automobile squad of the supply platoon of the special operations battalion Ilyas Midaev. 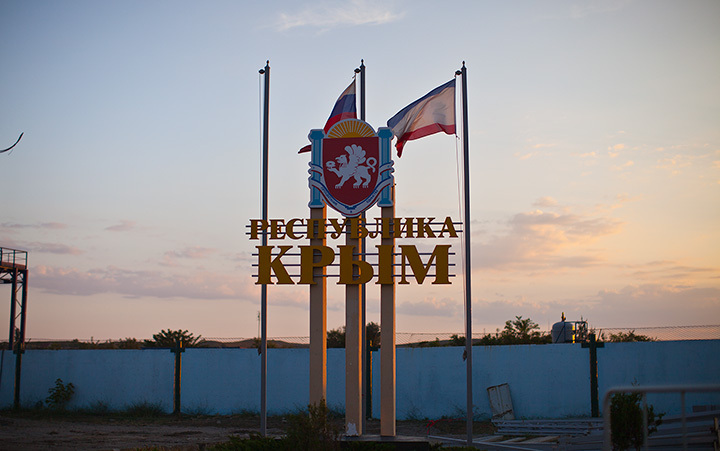 Port “Krym,” 2014. 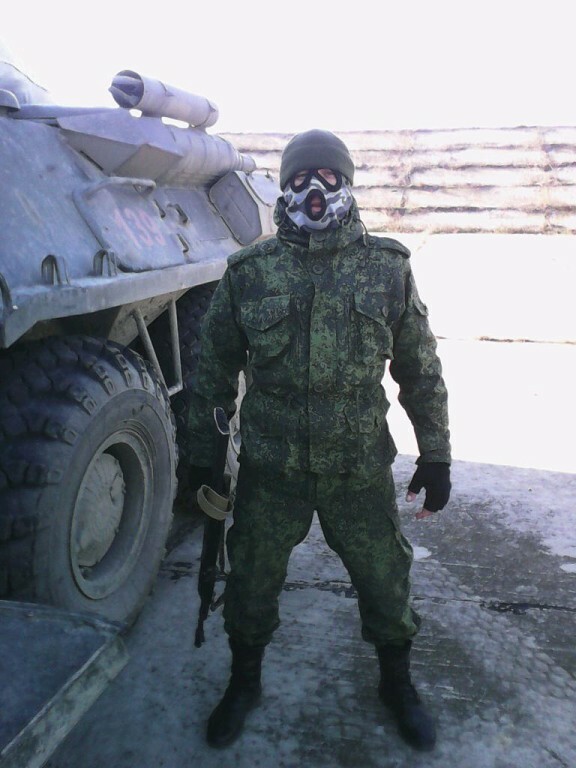 A profile photo of senior sergeant Vitaly Pribitkov, serving in the unit 63354. The redesigned sign, the photo uploaded in July 2014. 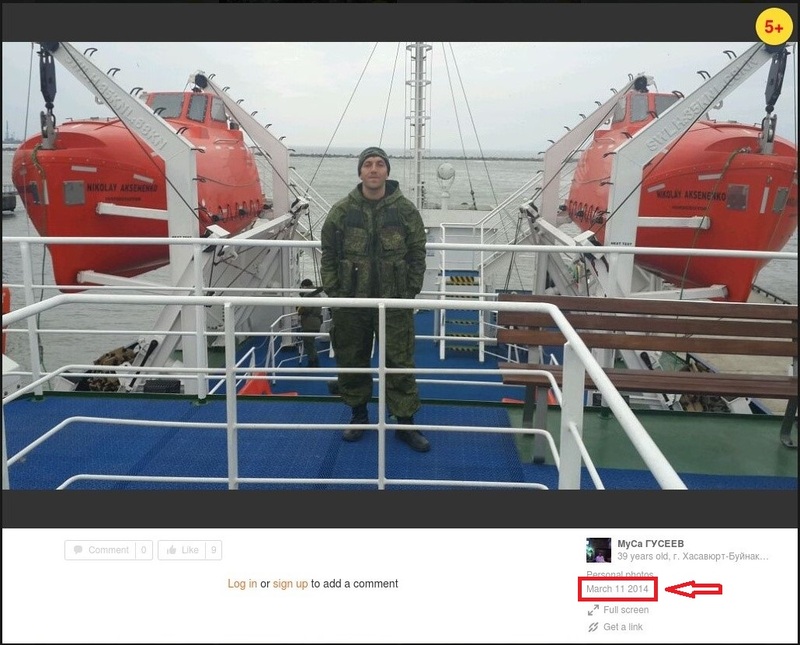 Some of the soldiers from the UCA lists exposed on the ferry in the winter-spring of 2014 were later awarded the medal “For the Return of Crimea,” they were Magomed Khamataev, Sergei Karchevsky, Marat Magomedov, and others. 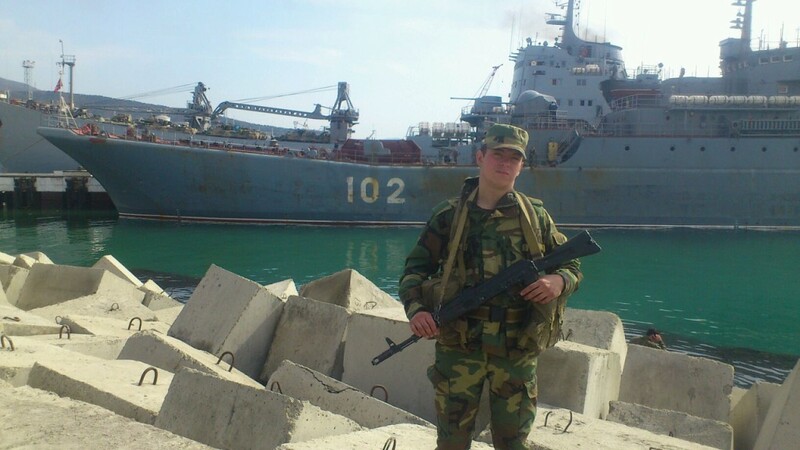 A picture of junior sergeant Vladimir Sobovoy in the foreground of BDK Kaliningrad in the port of Novorossiysk, Russia. Uploaded on 12 March 2014. 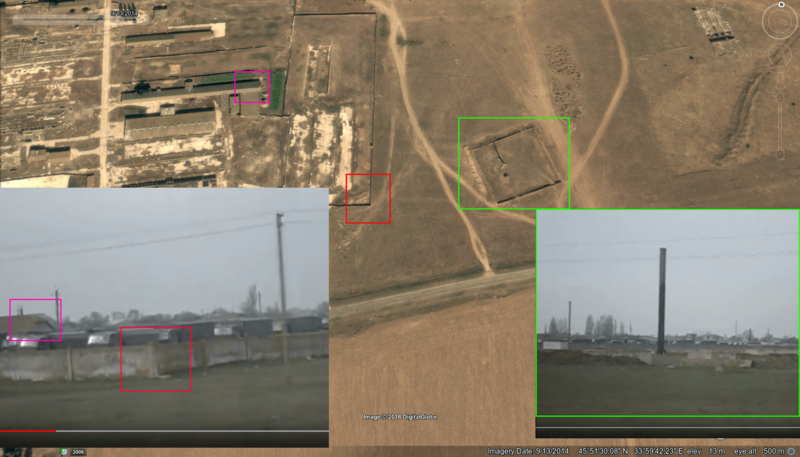 The first half of the video uploaded on 2 October 2014 shows the same plane marked RA-78805 on an unknown airfield approaching a crowd of people mostly clad in winter military uniform. Two persons are talking in Chechen, saying that Putin has sent the plane to bring them home since they have completed their mission. Later they mention that just in case they can capture Donetsk, Kharkiv, and Luhansk. Reportedly, the footage origins from a mobile phone of a Chechen mercenary who fought in Ukraine. 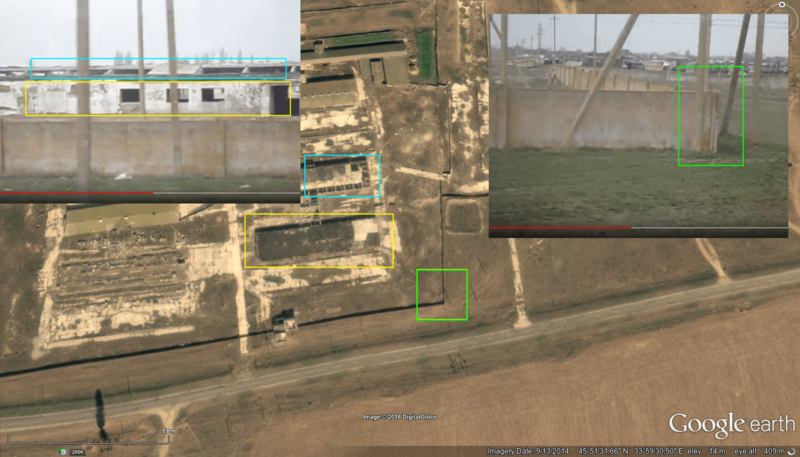 Taking into accounts the above-mentioned photographs, the video gives the ground to assume that it was filmed on one of the airfields captured in Crimea when the invasion operation was complete. BTR-82A is an in-depth upgrade of the old Soviet IFV BTR-80 and its shipment to Russian military units started in 2011. The Ukrainian Armed Forces have never bought this model from Russia, thus such equipment couldn’t be found anywhere in Ukraine prior to the Russian invasion. 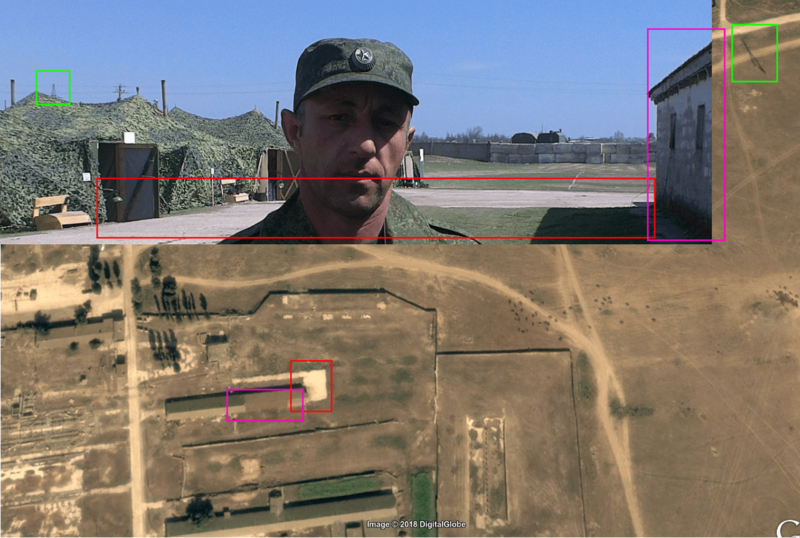 The pieces of BTR-82A on other images have the same three-color camouflage pattern which is not widely used in other Russian military units. One more similarity is the style of the side number – it’s stenciled in maroon both on the video and images. This, together with other matches such as the BTR model and their colors and pattern, makes it likely that these vehicles were in service with the military unit 27777 at the moment of the invasion. 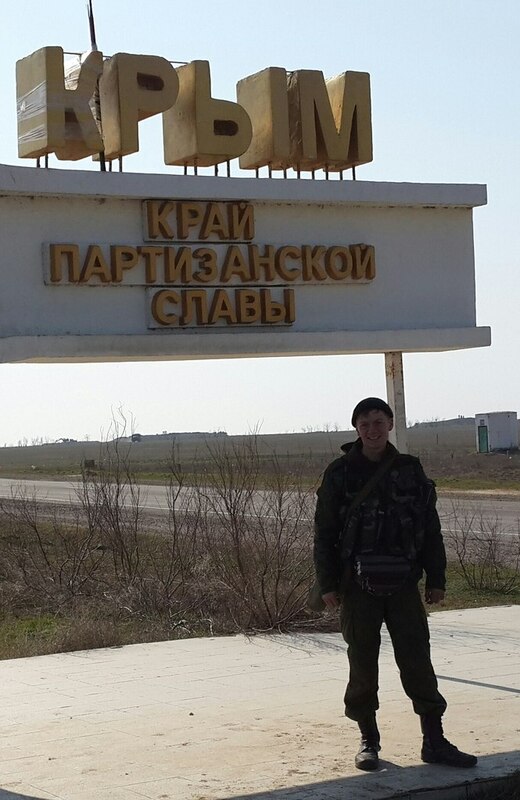 The sign “Crimea, land of guerrilla fame” (location) at the entrance to Crimea from Kherson Oblast in a profile photo by line inspector of the 3rd line-cable detachment of communication of the communication platoon of the company of communication (for command centers) of the communication battalion Pavel Storozhkov. Sivash Saline, dividing Crimea from mainland Ukraine. A photograph from a social profile by deputy commander of the intelligence company of the intelligence battalion Ruslan Serikov. 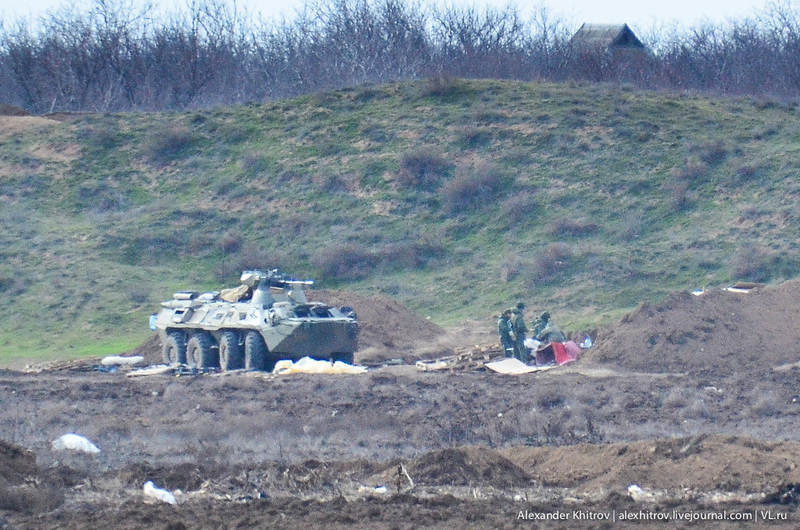 The three-color camouflaged BTR-82A nor far from the town of Armyansk posted on 18 March 2014. As InformNapalm stresses, a lot more images shared by the soldiers of the Chechen-based military unit were discovered featuring minor details indicating Russian presence in Ukraine: photos of Ukrainian currency, Ukraine-made juice “Sadochok” on a dining-table, street cafe umbrellas reading “Obolon” (a Ukrainian beer trademark), a Crimea-shaped cake with a Russian flag plugged in atop and so on. 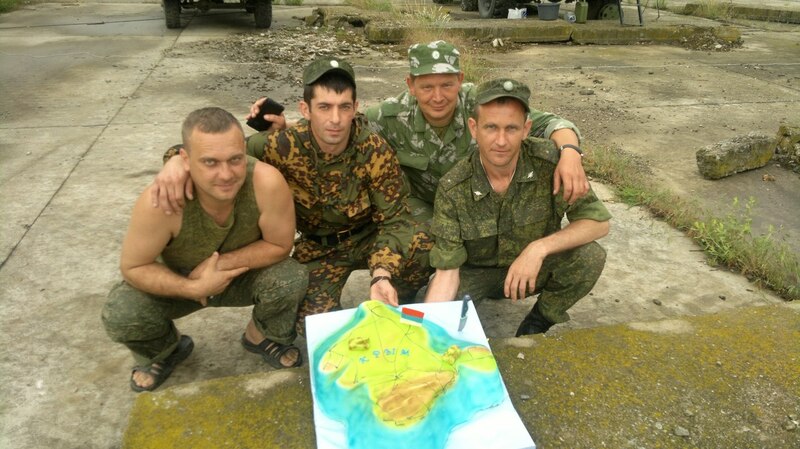 Summarizing the finds, the InformNapalm investigators have created a map of the route by the soldiers of the Russian brigade who used the ferry to reach Crimea, the animation shows the way from their permanent base in Chechnya to Crimea and further within the Ukrainian peninsula. The analysis shows that the deployment of the Russian soldiers in Crimea wasn’t a spontaneous decision made in February 2014, as Vladimir Putin states. It was well-organized and prepared and could be fulfilled according to plans prepared well beforehand months or even years before the invasion itself. The coordination of the actions of the military detachments, promptness of their deployment, and the tricks with which they concealed their affiliation with the Russian army show that the act of aggression was prepared long before the invasion and all roles were prescribed by its scenario and rehearsed by the perpetrators. The Kremlin knew that it was violating international law, but Moscow consciously breached the UN articles to commit military crimes, stresses the InformNapalm report. The full text of the report can be found on the InformNapalm site. Unfortunately, its English version hasn’t been published yet, only Ukrainian, Russian, Spanish, Belarusian, Czech, Bulgarian, and Swedish versions are available as of now.